“for his long and non-violent struggle for fundamental human rights in China”. He is currently serving an 11-year prison term. 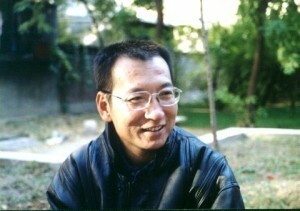 He is the co-author of “Charter 08”, a call for political reform and human rights in China. This entry was posted on Friday, October 8th, 2010 at 9:11 am and is filed under Uncategorized. You can follow any responses to this entry through the RSS 2.0 feed. You can leave a response, or trackback from your own site.